About a year ago, I wrote a post suggesting you set goals that are actually within your control. Many common goals people set (OK, goals that I set) aren’t really within your control. Goals like losing 5 pounds, getting a raise at work, or getting 100 people to sign up for my newsletter. You can eat well, be a perfect employee, and send out the most objectively perfect newsletter ever and still never accomplish any of those goals. Weight loss can be fickle, the company might have financial troubles, and maybe people just don’t want to hit subscribe. Not accomplishing those goals says nothing about you. Instead, I suggested focusing on the actions you can take (the aforementioned diet, good employee, and good newsletter actions). That way, even if you don’t complete the ultimate goal, you’ll still be in a pretty great place. A similar thing can happen on race day. So many runners focus entirely on a single metric: finish time. 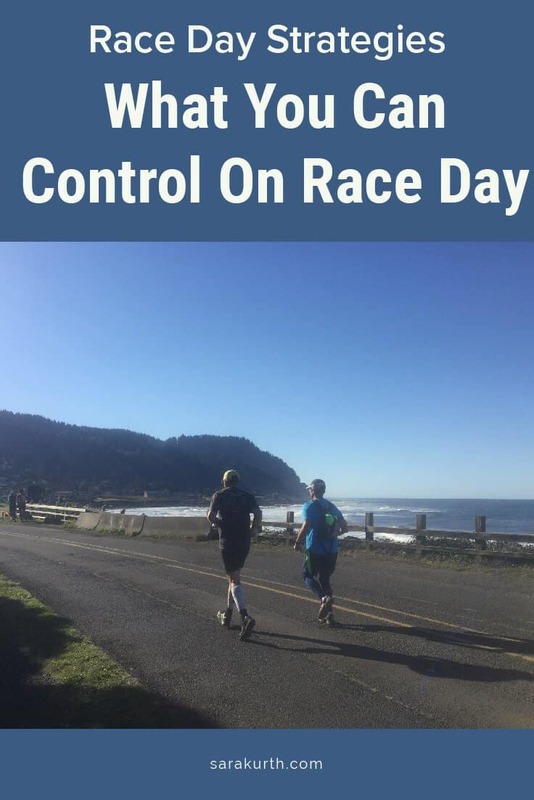 There is so much about race day that you can’t control. On race day, maybe there’s a heat wave. You could be fighting a touch of a cold you picked up during the taper. Maybe that piece of gear or fuel that served you well during training wreaked havoc on race day. Any of these factors can impact your finish time and they all (realistically) have little to do with you. How hard are you running? Do you want to push yourself harder? Can you push yourself harder? It takes a fair amount of self-awareness and body-awareness to recognize when you can push harder. And even more discipline to actually push yourself harder, since pushing harder is… well… hard. In many cases, your effort isn’t tied directly to your pace, at least in any consistent or predictable way. What feels ‘hard’ on any given day can be impacted by a dozen different factors. The course, your diet, your stress level, how you slept the night before, and the weather all impact how difficult a run feels. If you do a hilly run during a summer heat wave, and a flat run on a crisp, clear, fall day and push yourself equally hard, those two ‘hard’ runs will result in two very different paces. On race day you can control how hard you push yourself. Whether or not pushing yourself will result in a PR or an age group win is a very different story. On race day, good things will happen and bad things will happen. Many of these things will be out of your control, for example, the weather, traffic or parking issues, or that elusive race day mojo. You can create a race plan ahead of time to consider potential race day problems and prepare for them, but ultimately, those things will happen or they won’t. The question that is entirely within your control is: If (when?) a bad thing happens on race day, what are you going to do about it? Say you wake up on race day and it’s raining cats and dogs. Are you going to mope about how terrible the race is going to be, how much you will hate running in the rain, and consider if you should just climb back into bed? Or are your going to grab your rain jacket and channel your inner 3-year-old and jump in the puddles and play in the rain? You often can’t control what happens on race day, but you can control what you do in response. If a bad thing happens on race day, or if your race day just isn’t going to plan, it can be so easy to spiral. Running, especially endurance events like the marathon, are not only physical challenges, they are mental ones too. I know this is a slightly ridiculous example, so let’s pretend I made it up and it’s not something I’ve actually done. Totally hypothetically, let’s say you get cut off (by all evidence, unintentionally) by another runner at an aid station. It’s the slightest slight imaginable, and it didn’t impact your race performance in the slightest. Are you going to get over it and move on? After all, it didn’t impact your race at all. Or are your going to spend the next 10 miles fuming to yourself about how rude and unobservant runners are, how that horrible wrong shouldn’t have happened to you, and coming up with the perfect snide comment you should have said to the terrible human being who was terrible enough to cut you off? OK, I’ll be honest, I didn’t make that example up. I’ve been known (at my weaker moments) to dwell on the smallest things while running. I often find myself repeating this saying to myself: did you really have a bad day (or bad run, in this case), or did you have a bad 10-minutes that you milked for the whole day? What you think about during your run, and whether those thoughts are positive or negative is entirely within your control. And rest assured, if you (like me) are not a total Pollyanna, your thoughts don’t need to be relentlessly positive. Simply preventing yourself from negatively spiraling can be a huge benefit on race day.